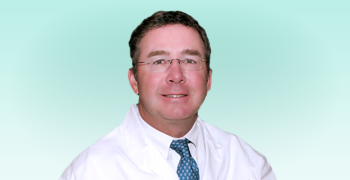 Home | Skin Care | Ask the Doctor: Onchomycosis by Dr. Harry A. Burglass, Jr. Ask the Doctor: Onchomycosis by Dr. Harry A. Burglass, Jr.
Onychomycosis is a fungal infection that causes fingernails or toenails to thicken, discolor, disfigure, and split. If the problem is caused by a bacterium, the condition is called paronychia. The primary fungi that cause onychomycosis are Trichophyton rubrum and Trichophyton mentagrophytes. They are dermatophytes (fungi that infect hair, skin, and nails) and feed on keratinized (nail) tissue. The infections they cause are normally confined to the nails, but occasionally spread to the surrounding skin. Another type of onychomycosis is caused by yeast (Candida albicans or Candida parapsilosis). These infections are less common and produce similar symptoms. Paronychia infections are caused by bacteria such as Staphylococcus, Streptococcus, and Pseudomonas. In most cases, paronychia infections can be differentiated from onychomycosis by the inflammation they cause to the skin adjacent to the nail. Onychomycosis is difficult to treat because nails grow slowly and receive very little blood supply. However, there have been recent advances in treatment options, including oral ,topical medication and laser treatment. Oral antifungal medications usually are administered over a 3 month period. Two available brands include Lamisil® and Sporanox®. These medications are fairly safe, with few contraindications; they should not be taken by patients with liver disease. Before prescribing one of these medications, physicians often order a blood test to make sure the liver is functioning properly. Topical antifungal treatment Penlac, Gendadur, and Nuvail consists of a nail lacquer that is applied daily to affected nails. This medication does not have any contraindications but it may irritate surrounding skin in rare cases. Laser therapy consists of using a special wavelength to penetrate the nail and nail bed to the desired depth resulting in heating that eradicates the fungus. The result is an increase in clear nail in a majority of cases where dermatophytes are confirmed to be the source of infection. It usually takes 4 to 5 treatments once every week to treat the affected nail(s). Because nails grow very slowly, it typically takes 6 months to a year for the nail to regain a healthy, clear, thin appearance. However, onychomycosis is an ongoing fungal infection and patients with the condition should seek treatment.